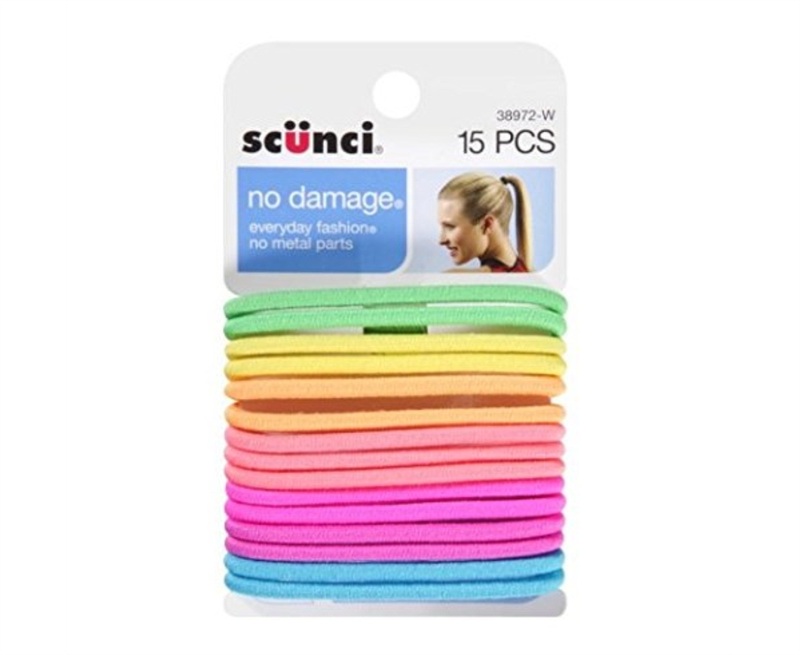 Create different hairstyles with these Neon Scunci No Damage Hair Ties (15-count). They contain no metal parts helping to minimize hair snags. These fashion hair ties are easy to use and come in assorted colors.